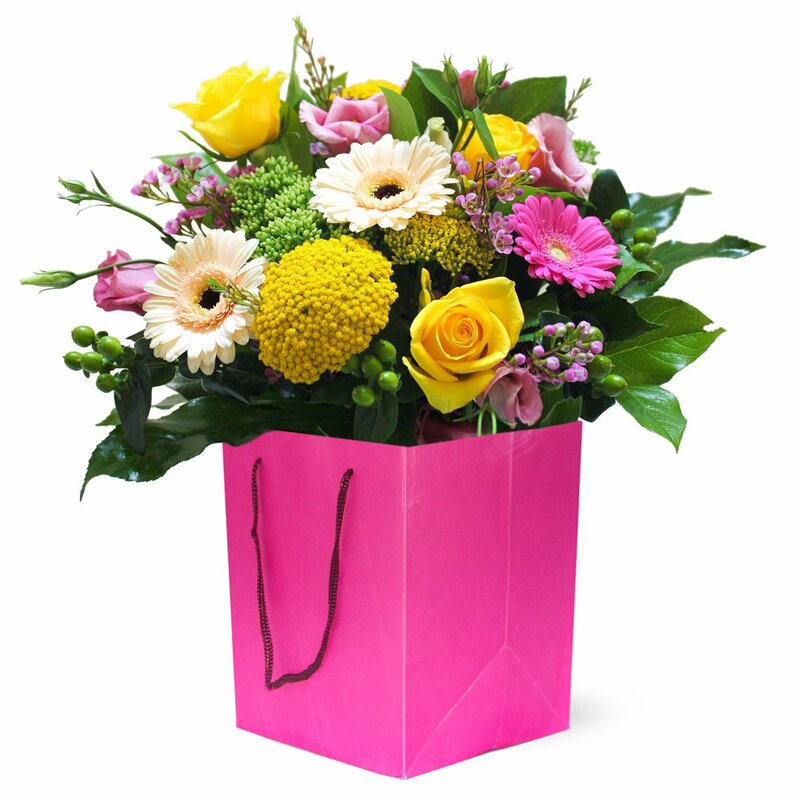 A gorgeous mix of brightly coloured flowers gift wrapped and hand delivered by the local florist. This Bouquet is wrapped and arrvies in a bubble of water then placed in a thick card box or bag to ensure the flowers are stable to sit on a table. Same day delivery available please order before 2pm.